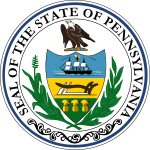 The Mayoral election of 1933 in Pittsburgh, Pennsylvania was held on Tuesday, November 6, 1933. In a realigning election, Democrats regained control of the mayor's office for the first time in 28 years; they have not relinquished this position since. The incumbent mayor, John Herron of the Republican Party chose to run for his first full term. Herron had been elevated to the executive office from his position as city council president after Charles H. Kline resigned over a fiscal scandal; he inherited a party whose once efficient machinery was in crisis. Democrats, led by new powerful grassroots organizer David Lawrence (a future mayor) selected William McNair, an idealistic and outspoken attorney as their candidate. With the beginnings of the New Deal being set into place, Pittsburgh's strong labor community moved rapidly toward the Democrats, creating a huge shift in voting patterns and allowing McNair to win. Incumbent mayor John Herron won a divided Republican Primary against Councilman Joseph A. McArdle and Register of Wills Joseph Mackrell. William McNair won the Democratic Primary. A total of 179,425 votes were cast. *Herron received 75,405 votes on the Republican ticket, 258 on the Citizens' Party ticket, and 11 on non-partisan ballots. †Mackrell received 154 votes on Liberal Party and 101 on Square Deal Party ballots. ^ "Official Count Makes M'Nair's Margin 27,193". The Pittsburgh Press. November 29, 1933. p. 2. ^ "Return Board Fixes M'Nair's Lead at 27,193". Pittsburgh Post-Gazette. November 29, 1933. p. 4.